The two countries last met in a FIFA World Cup qualifier in 2013 with the sides playing out a one-all draw in Tel Aviv. Northern Ireland and Israel have met on nine occasions with Northern Ireland winning three of the games, Israel one and the teams drawing five times. 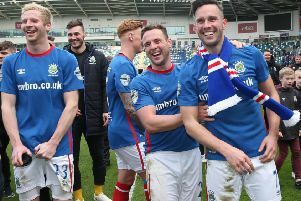 The game comes three days after Northern Ireland play Bosnia and Herzegovina in the UEFA Nations League at the National Football Stadium at Windsor Park. September 11 is also a Nations League game day, but with neither country having a competitive fixture on that date the friendly will instead be used by both teams to prepare for games later in the tournament. The visitors have some well-known faces in their squad including ex-Chelsea, Manchester City and Bolton defender Tal Ben Haim and former Liverpool and all-time Israel appearance record holder Yossi Benayoun who has 102 caps for his country. Brighton and Hove Albion striker Tomer Hemed and Club Brugge midfielder Lior Refaelov are also in the Israel squad. "When we are looking at options for friendly matches we want teams that will challenge us and help us improve as a squad. Israel offer both of those things. This is an excellent game for us and we will use it to build on what will hopefully be a positive result against Bosnia. "This friendly match completes our schedule for 2018 and I am pleased with the mix of fixtures that we have. With friendly games against South Korea, Panama, Costa Rica, the Republic of Ireland and now Israel, as well as the competitive matches against Bosnia and Austria, we have a varied but exciting schedule and one which I believe will stand us in good stead ahead of the start of EURO 2020 qualifying next year."